If you are looking to buy or sell a home, choosing an experienced REALTOR® is important. 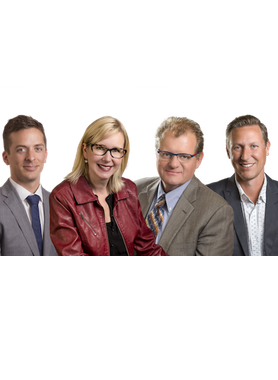 Ask any one of the thousands of people who have come into contact with the McLean Real Estate Group over the years and they will tell you that their best assets are professionalism and integrity. Geoff McLean, Jodi Baker and Darren Neuhaus provide sound advice for every aspect of the Victoria market to ensure your real estate goals are met. Whether you are relocating to or from Victoria, a first time or experienced buyer or seller, you can count on the McLean Real Estate Group. If you ask anyone connected to the Victoria, BC real estate market, or any of the thousands of people who have listed their Victoria properties for sale with Geoff McLean over the last three decades, they’ll confirm that one of his defining characteristics is his integrity. Geoff approaches his real estate vocation with honesty and straightforwardness. As a husband, father and homeowner, he understands the family/work balancing act that everyone negotiates. At the heart of his service is Geoff’s respect for his clients, fellow REALTORS® and the industry. Due to his expertise and proficiency Geoff is frequently asked to speak at real estate conferences. He freely shares his knowledge with both new and established REALTORS®, earning him the respect of his peers. One of the top RE/MAX REALTORS® in Victoria since 1990, in the Top 30 RE/MAX Teams in Western BC and Victoria Real Estate Board MLS Gold Award winner for more than three decades. Hi Geoff McLean, When I was browsing http://realestatechannel.ca I found your profile. Please contact me about your services. Thank you.